When she's working in the field, U of S researcher Christy Morrissey says she is hearing fewer of the tiny chirps and trills of the songbirds she's studying. AUDIO EXTRA: Can you identify some Prairie birds by their songs? Christy Morrissey is an avian toxicologist at the University of Saskatchewan. She is currently looking at the connection between pesticides and falling birdsong populations. (Courtesy of SongbirdSOS productions. 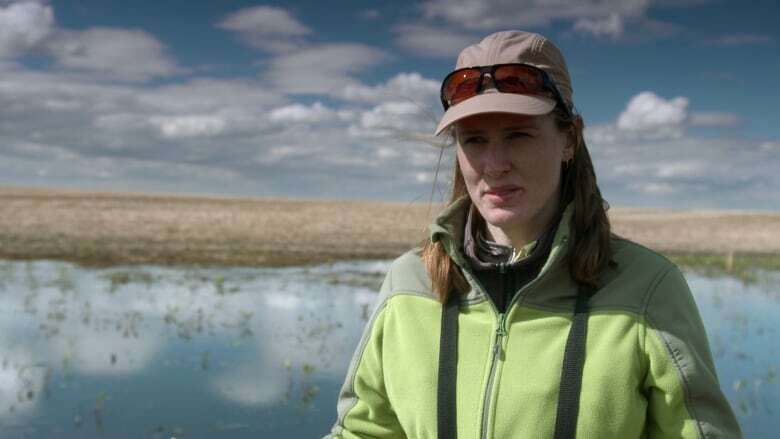 )Christy Morrissey is hearing fewer of the tiny chirps and trills of the songbirds she's studying, as she's working in the fields around Saskatoon. "It's quieter, and it's quieter because there are fewer [birds]," Morrissey, a University of Saskatchewan avian toxicologist told CBC Saskatchewan. Morrissey said it's difficult for scientists to find what they refer to as the "smoking gun" or a single cause for the decline in song bird populations. However much of her research is focused on a common insecticide used in agriculture. "There are different threats and combinations of threats like climate change, weather patterns and of course pesticides," said Morrissey. "But there is one class of pesticides that's getting a lot of attention and that's the neonicotinoids." The issue of declining songbirds is explored in a documentary on CBC's The Nature of Things. ​One bird at risk is the tree swallow, said Morrissey. "They're in poor body condition ... typically in sites where there is more agriculture, more intensive pesticide use, so we know there's probably a link there," she said. 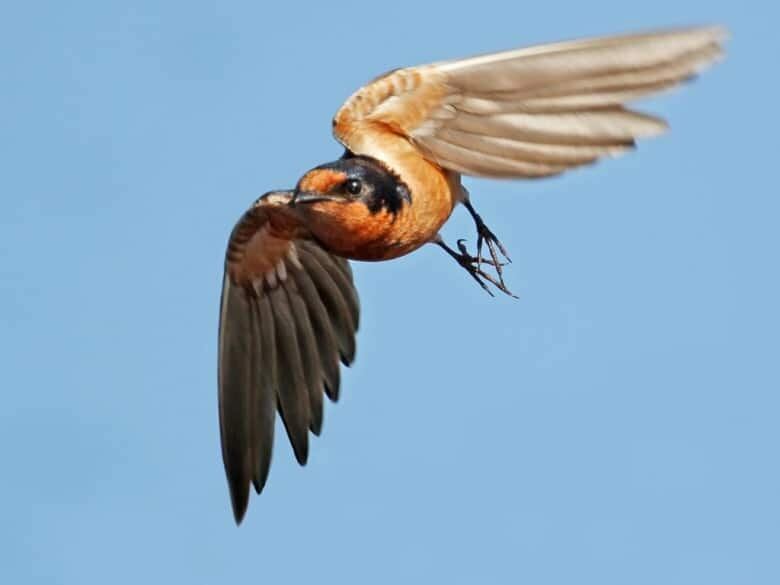 "[Neonicotinoids] are effective at very low concentrations at killing insects and [they] kill aquatic invertebrates which are the main food source for these swallows and other aerial insectivores." 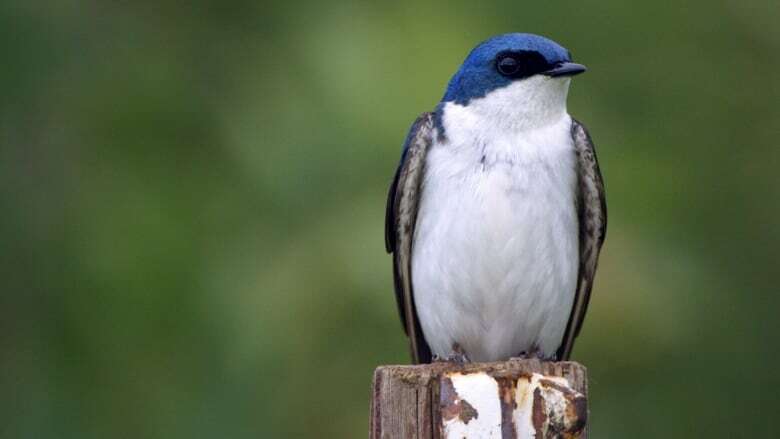 Morrissey said tree swallows are doing relativity well compared to other species, but are still seeing one to two percent drop in their numbers each year. Morrissey is more worried about the barn swallow, which she said is really tanking for reasons not fully understood. "It's a species we are familiar with," she said. "They come back each spring. We usually like to see [them] flying around the open fields and farmlands and now they're rarely coming back to their familiar barns and the numbers are 70-80% lower than they were 40 years ago." Morrissey said some songbird populations have seen a 70% drop in the last 40 years. Agriculture may be one of the causes, but she said farmers have few options. "The farming industry has gone towards seed treatments where you buy a seed that's already ... coated with this insecticide," said Morrissey. "I think there are many concerned farmers out there. They also notice that there are fewer birds and so they're asking questions." "Farmers will tell you they used to see meadowlarks on every fence post and now the meadowlarks are increasingly rare, You feel it's a special thing when you actually see a meadowlark or hear one singing." Can you recognize Prairie birds by their songs? The Cornell Lab of Ornithology has an online encyclopedia of birds. Here are songs of five birds that pass through Saskatchewan, that are seeing declining numbers. Listen to see if you recognize their calls.